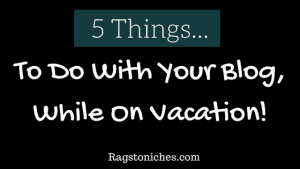 5 Things To Do With Your Blog, While On Vacation! Last updated on September 7, 2017 By Nat Leave a Comment This post may contain affiliate links. 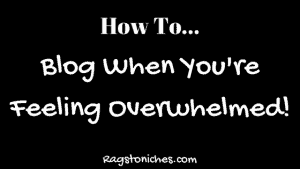 We appreciate you supporting Rags To Niches! Full disclosure here.